This overlay was implemented on Bespoke Offers website. The ad policy setting for the overlay is to appear after a few seconds the page is loaded. When the overlay appears, the visitor can either submit a lead or click ‘Already a member? Sign in’ to close the overlay and return to the site. Once a lead or registration has been submitted the overlay will not reappear for that campaign. Capturing data is easy enough, but doing it properly and gathering the ‘whole picture’ can be a complex and costly task. The data collection market is reaching saturation, yet far too many data capturing opportunities are under-utilised and not delivering clients what they truly need. This is especially the case as users are increasingly savvy to online marketing tools and many avoid sharing key data online. This can prove frustrating to publishers and advertisers alike, who are left with only some or little of the user information they want. Unlike Pay Walls, Lead Walls are often not compulsory, and they provide a much more discreet and more positive user experience. Essentially, the Lead Wall is a unit which loads softly after the page has loaded. The Magnetise tech team has developed unique and fully customisable Lead Walls, which essentially entice users to sign up and provide a wealth of data, in return for other benefits, such as great piece of content, a free demonstration or, perhaps, a voucher incentivise engagement. The relevance of these overlays is such that users are gravitating towards them and they are delivering high quality, highly relevant leads. 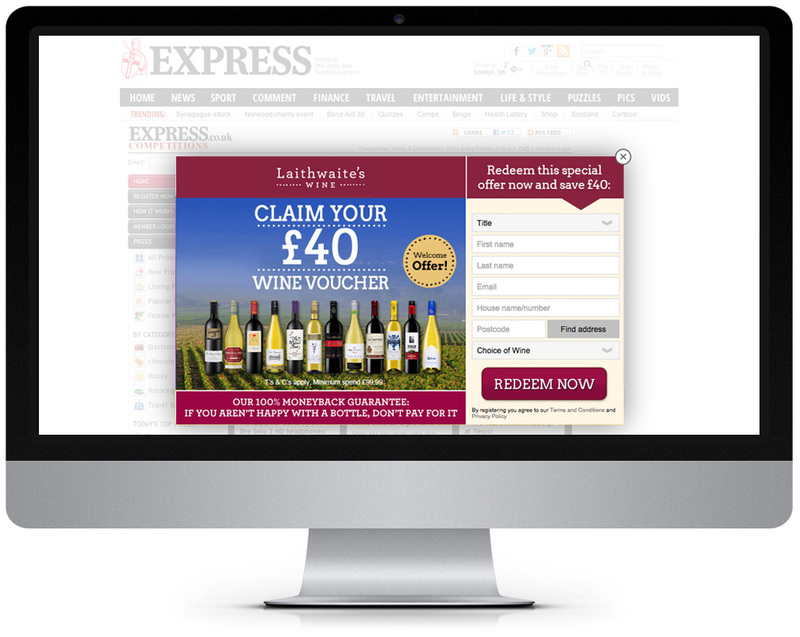 ‍The Laithwaite’s overlay was implemented on the Espress website (www.express.co.uk). The ad policy setting for the overlay is to appear after a few seconds the page is loaded. When the overlay appears, the visitor can either submit a lead or click ‘X’ to close the overlay and return to the site. Once a lead has been submitted the overlay will not reappear for that campaign. The Magnetise Lead Walls, which are being used across Magnetise Media and Lead Intelligence, contain a wide range of options to help clients gather exactly the details they need and to closely target the people they want. 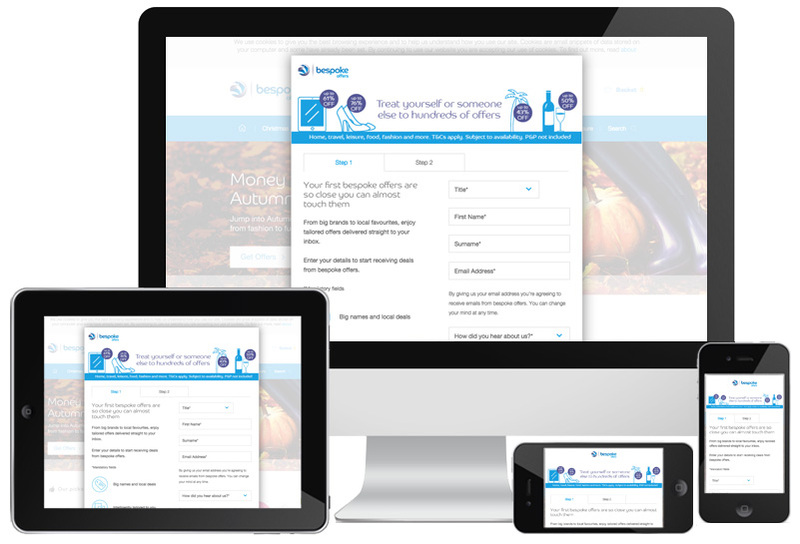 One of Magnetise Group’s clients wanted to set the criteria so that the overlay only displayed to a UK audience and another client decided to exclude mobile traffic. From the user’s perspective, the experience is positive as this new overlay is optional and unobtrusive. The new Lead Walls also track user behaviour and essentially ‘listen’ to users to avoid any frustration. Lead Walls are very simple to set up as publishers simply set conditions or trigger events and then add tags to their site, as they would for any tracking or analytic tags. What’s more, as the tags are asynchronous, they don’t impact loading times at all. We have an ongoing commitment to deliver market leading technology and we continue to work across the board to identify gaps in the market and see how we can better help our clients and enhance the end user experience. As you can see, we’re really excited about these smart new overlays and many Magnetise clients have already benefitted from the return they offer.